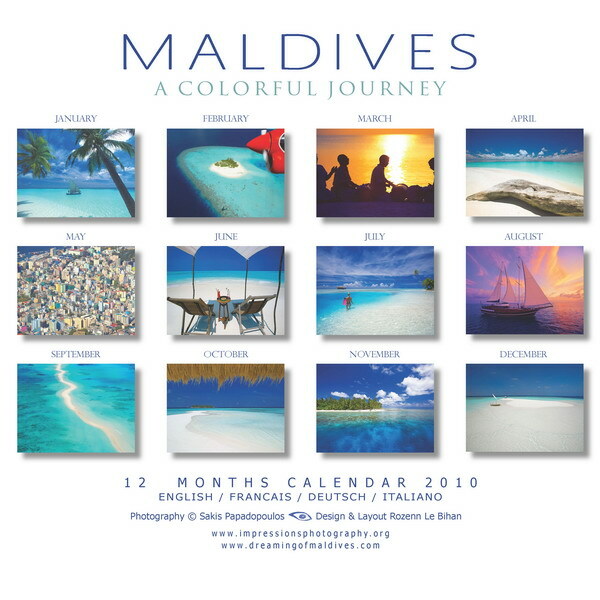 The MALDIVES 2010 Wall Calendars by Sakis are available only at http://www.dreamingofmaldives.com/Maldives-calendar.html and in Maldives in selected hotels & resorts, Male and as well at Male international Airport. 2010 MALDIVES CALENDAR FRESHLY RELEASED !! !